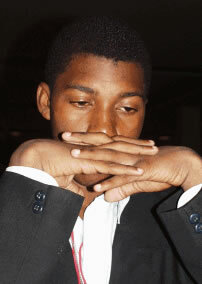 Twenty-year old IM Robert Gwaze of Zimbabwe has met success in many corners of the chess world including winning the African Junior Championship in 1999. It was at that tournament that he earned his IM title and thereafter people began to take notice. His raw attacking ability is often put on display for all to see. In the recent Chess Olympiad in Bled, Slovenia, he scored a perfect 9-0 and won the gold medal for board #1 players. In several games, he was able to play his brand of chess… hard and strong. The following game Gwaze takes hits his Surinamese opponent with a fast and furious attack! Be forewarned… there is another shark in the Zambezi waters!